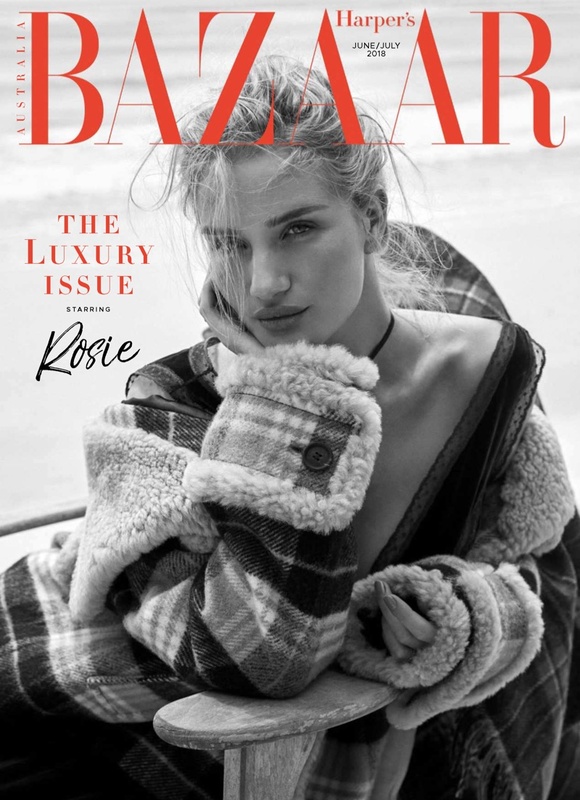 osie Huntington-Whiteley lands the June-July 2018 cover of Harper’s Bazaar Australia. 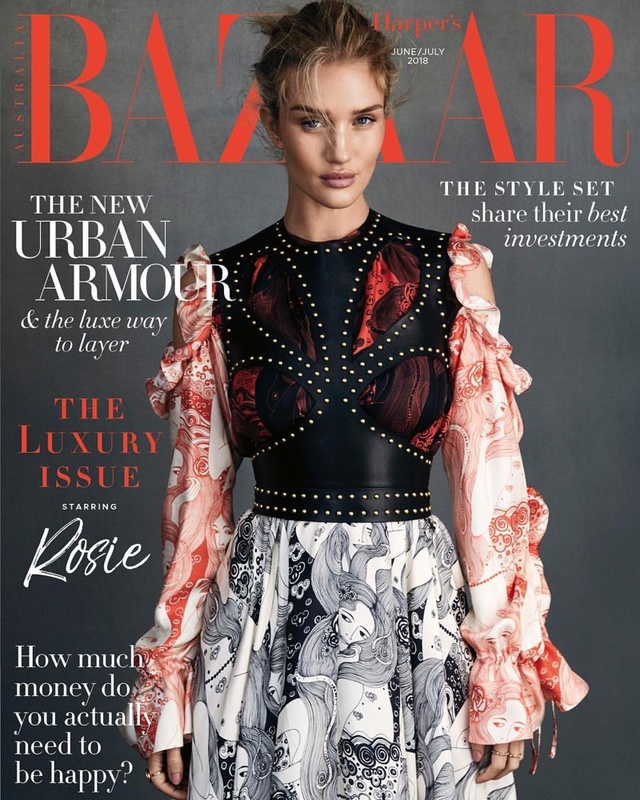 Photographed by Darren McDonald, the British beauty wears a printed dress from Alexander McQueen. In the accompanying spread, Rosie poses in looks from the pre-fall collections. Stylist Kristen Ingersoll selects designs from labels such as Dior, Emporio Armani and Calvin Klein.